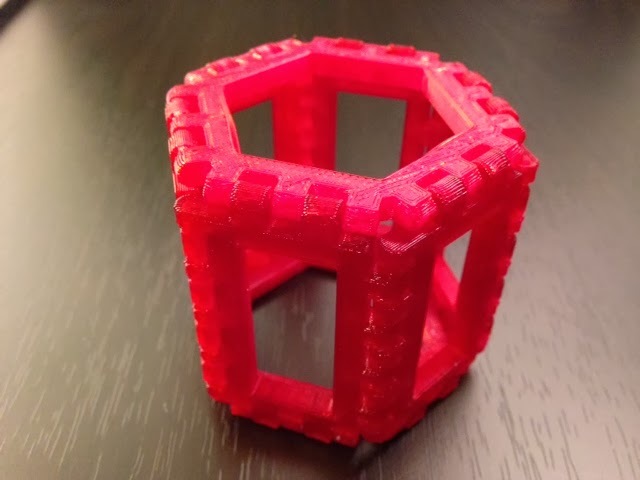 Settings: Low/.3mm MakerWare settings on a Replicator 2 in an hour and 25 minutes. Technical notes: In order to get the hexagons to fit correctly I had to make them larger than one would expect. I guess a lot of space gets eaten up with the hinges and angles somehow.